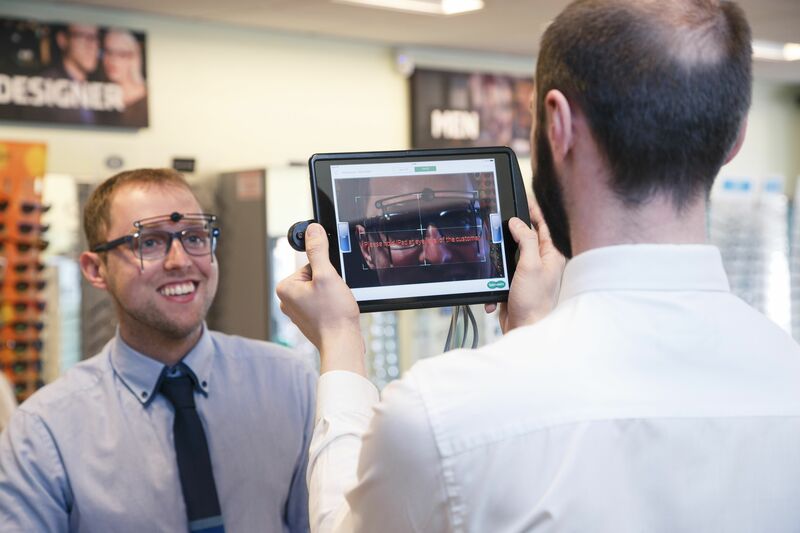 Employees redeeming their eyecare eVouchers from Specsavers Corporate Eyecare will now be introduced to a cutting-edge new way of having their glasses selected and fitted, using imaging software on tablet devices. Specsavers has introduced Digital Precision Eyecare – intelligent software that calculates the important measurements needed to fit glasses and lenses. It also helps with choosing lens options, by showing what different lenses do, in real time. The advantage for the employer is that they feel safe in the knowledge that all their employees are receiving exceptional professional care and advice in frame selection and dispensing for their prescription, vision and lifestyle needs. Employees receiving their eyecare from their employer in the form of Specsavers’ eVouchers need only present their voucher as a print out, or digitally on their smart phone, to receive the full essential eyecare for DSE, Safety, Optical or Driver needs. eVouchers can be redeemed at any Specsavers store in the UK and Ireland and all stores now utilise Digital Precision Eyecare. Corporate Eyecare from Specsavers is available from just £17 for DSE eyecare and glasses, if required for screen use. eVouchers can be bought and distributed by the employer to cover specific at-work needs, like DSE, driver or safety eyecare, or as a cost-effective employee benefit. All eVouchers can be used as a contribution to higher priced ranges of glasses, with the employee paying the additional sum to receive, for example, designer styles or different lens options.